TUESDAY, March 1 is an intriguing date for your diary. The return of Nigel Clough to Bramall Lane with his beloved Burton Albion. Will it be a top-of-the-table clash between two sides heading for promotion? Is it going to be a night when Clough is able to say ‘I told you so’ as his high-flyers take on United still lost in mid-table? Or will Burton have fallen from grace, United recovered and it’s Blades fans who will be gloating? The permutations are exhausting and it is not inconceivable that Clough will be given a polite reception. Anyone, however, who still doubts Sheffield United’s bold decision to sack Nigel Clough at the end of May should have been at the Press conference announcing his return to football earlier this week. They would have seen two sides to the former Blades manager, one of which fans at Bramall Lane never witnessed. The smiling, wise-cracking Clough happy to share a few jokes with the local media and his boss alike. It wasn’t Saturday Night Live at the Apollo but it was a dramatic departure from the man who cut a sullen figure in Sheffield. There was also the familiar. The stubborn, painfully cautious Clough whose ambition is tempered by a need to avoid risk at all cost. In his mind, not unreasonably, you start with a draw and build on it. How it is executed is the key. In reality, as Blades fans are only too well aware, Clough’s method means sitting back, squeezing the life out of creativity and entertainment and relying on the counter attack. Don’t forget either that this is a man who has spent almost 18 years in football management with all the benefits and contacts his surname provides and he has one Northern Premier League title to show for it. With all due respect to Burton, Clough has chosen to avoid challenge and return to his comfort zone at a club that is more than happy just to maintain its League One status. His negativity, between witty asides, was already evident as Burton Albion, with a three-point lead at the top of League One and where Clough spent 10 years before moving to Derby, was reintroduced to the waiting media by chairman and personal friend Ben Robinson. That lead was increased to five points on Saturday evening after Clough’s new team, in his absence due to a prior commitment before he accepted the job, won 3-0 at promotion rivals Gillingham, an outstanding result. To be fair – and even the three former amigos from the Lane, Clough, Andy Garner and Gary Crosby, would surely agree – owed more to the influence of former boss Jimmy Floyd Hasselbaink. Back to Monday’s Press conference. “If you drop off from that position (top of the table) then it is perceived as failure," said Clough. "It is brilliant in lots of ways, far better than fighting relegation, but in a lot of ways it would be easier if they were top 10 and looking to improve.” I doubt Jimmy Floyd Hasselbaink who won promotion with Burton last season and propelled them to the top of the table again in this campaign would have viewed it that way. Clough, a rapid replacement for Hasselbaink who joined QPR in the Championship, pointed out that his managerial credentials had been enhanced since leaving Burton Albion, then a Conference club, in January 2009. “Experience improves you as a manager,” he said. Judging from the comments that followed Clough clearly didn’t learn much in his 18 months at the Lane other than he was right and everyone else was wrong. Not unlike his outrageous view prior to United’s play-off semi-finals against Swindon when he said: “People ask ‘is it a failure if we don’t go up’. We don’t think it is. Other people might judge it differently.” They did and rightly so. What about this weekend’s trip to Gillingham just three points behind leaders Burton. “The important thing is to not give anything away.” said Clough who pointed out that he went to Gillingham with United last season operating the same game plan. “We were doing alright,” he explained, “until the goalkeeper made a mistake and we ended up losing 2-0.” Well that’s OK, then. Events at the Priestfield on Saturday afternoon, a clean sheet and three goals, would appear to prove him right, but you get my drift. At this early stage It surely only serves to prove that Hasselbaink’s team was capable of carrying out instructions and Clough’s United wasn’t. And that counter-attack? “At Sheffield United I kept telling them just give the ball to Jamie Murphy.” Murphy scored 12 goals in 58 appearances last season, a ratio of almost one in four. He managed only two goals in United’s crucial last 16 fixtures which ended in bitter disappointment and Clough’s departure. Clough is a Jekyll and Hyde character. An honest man who deceives himself. A decent man but whose stubbornness is devisive which led to disunity in the dressing room at the Lane, in the stands and in the Boardroom. He often refers to how he helped to dramatically cut the wage bill at Derby and still build a strong team. How in 18 months at United, he transformed a team looking at relegation to finish seventh and reach the FA Cup semi-finals. That was, indeed, outstanding. What followed was hollow. Yes, United reach the play-off semi-finals and the Capital One Cup semi-finals. It sounds impressive. In truth the cup run was a fortunate sideshow which distracted from United’s inconsistency, negativity and disunity for which Clough was wholly responsible. Good luck to him and Burton Albion who under Hasselbaink performed something close to a football miracle. Clough’s new career got off to a flyer even if he wasn't there, but I’m glad he will be in the visiting dug-out on his next visit to Bramall Lane. Blog news and analysis on Sheffield United Football Club. Also known as the Blades and SUFC. They play in League One of the Football League. Their home ground is called Bramall Lane. SUFC were formed in 1889. Nigel Adkins is the team manager. — David McGoldrick whose two goals in 3-0 win at Hull took his tally for the season to 15 and put the Blades on the brink of returning to the Premier League. 22/04/2019. — Hull City boss Nigel Adkins after Easter Monday defeat to his former club. 22/04/2019. — Defiant Chris Wilder as he approaches Easter fixtures with some doubting United's staying power. 16/04/2019. — Blades boss Wilder after throwing away lead against Millwall at Bramall Lane. 13/04/2019. — Chris Wilder after win at Preston lifted Blades back into second automatic promotion position. 06/04/2019. — Boss Chris Wilder reveals aftermath of 3-2 home defeat to Bristol City. 04/04/2019. — Chris Wilder after securing three points at promotion rivals Leeds United. 16/03/2019. — Sour grapes from Leeds United striker Patrick Bamford after Blades 1-0 win at Elland Road. 16/03/2019. — United goalkeeper Dean Handerson in a Twitter row with Wednesday fan after Sheffield derby. 06/03/2019. — Chris Wilder after goalless draw at Hillsborough 05/03/2019. — Chris Wilder recalling Sheffield Wednesday's play-off final defeat to Hull City, then managed by current Owls boss Steve Bruce. 01/03/2019. — United's Marvin Johnson after 1-0 victory at West Brom. 23/02/2019. — Chris Wilder after leaving out top scorer Billy Sharp and regular strike partner David McGoldrick in 4-0 home win against Reading. 16/02/2019..
— Richard Stearman after heading winner against Boro at the Lane. 13/02/2019. — Chris Wilder after United threw away a three goal lead at Villa Park. — Norwich boss Daniel Farke after 2-2 draw with Blades at Carrow Road. 26/01/2019. — Blades boss Chris Wilder reflecting on defeat in South Wales. — Chris Wilder's reply to speculation linking him with the vacancy at Huddersfield Town. 15/01/2019. — Chris Wilder after shocking FA Cup defeat to non-league Barnet at Bramall Lane. 06/01/2019. — A modest Billy Sharp after becoming English league football's top scorer since the turn of the century, netting his 220th in the Blades 3-0 win at Wigan. 01/01/2019. — Blackburn boss Tony Mowbray after their 3-0 defeat at Bramall Lane in which both teams had a man sent off. 29/12/2018. — United striker Billy Sharp commenting on his header which ultimately rescued a point in a 1-1 draw at bottm-of-the-table Ipswich. 22/12/2018. — Chris Wilder after home defeat against West Brom. 14/12/2018. — Chris Basham on dressing room at half time following disappointing display in a match United went on to win 2-0 at Reading. 08/12/2018. — High praise from Leeds United's Argentine manager Marcelo Bielsa after his team's fortunate 1-0 win at Bramall Lane. 01/12/2018. — Chris Wilder after poor performance in 2-2 draw at Rotherham. 24/11/2018. — Chris Wilder after another goalless Sheffield derby at Bramall Lane. 08/11/2018. — Sheffield Wednesday manager Jos Luhukay more than happy with a point at Bramall Lane. 08/11/2018. — Blades boss Wilder commenting on a remark made by Sheffield Wednesday boss Jos Luhukay. 08/11/2018. — United midfield man Mark Duffy. 05/11/2018. — Chris Wilder after a narrow defeat at Nottingham Forest. 03/11/2018. — Defender Richard Stearman who is expected to start at Nottingham Forest. 01/11/2018. — United midfielder Oliver Norwood. 30/10/2018. — Wilder reflecting on 4-2 win against Wigan which gave United a two-point Championship lead. 28/10/2018. — Wilder on upcoming opponent Wigan Athletic's past achievements. 25/10/2018. — Stoke City manager Gary Rowett reflects on the Blades style of play and tips them for promotion after 1-1 draw at Bramall Lane. 23/10/2018. — Chris Wilder after defeat at Derby cost United the chance to go three points clear at the top. 20/10/2018. — Former Manchester United and Blades defender Paul Parker's curious assessment of Sheffield United. 20/10/2018. — Wilder looking ahead to midweek date at Blackburn. 02/10/2018. — Wilder reflects after United recovered after losing the lead at Millwall to win 3-2. 29/09/2018. — Millwall manager Neil Harris on his struggling side's defeat to United. 29/09/2018. — Chris Wilder as his team prepared for the trip to Millwall. 26/09/2018. — Wilder after 3-2 home win over Preston North End left the Blades in fourth, two points behind joint leaders Leeds and Middlesbrough. 22/09/2018. — Blades boss Wilder after disappointing goalless draw at home to struggling Birmingham City. 15/09/2018. — Birmingham City boss Garry Monk. 19/09/2018. — Chris Wilder reflects on performance at Bristol City. 15/09/2018. — Carla Ward, boss of Sheffield United Women on the eve of their FA Championship debut at home to Durham. 07/09/2018. — Aston Villa boss Steve Bruce after watching his team being destroyed 4-1 by the Blades at Bramall Lane. 01/09/2018. — Jubilant Blades boss after United's third successive win of the season, 3-0 at Bolton. 25/08/2018. — Chris Wilder after 2-1 win over Norwich. 18/08/2018. — Wilder after Blades first win of the season, 2-1 at QPR. 11/08/2018. — Boss Wilder after 3-0 defeat at Middlesbrough. 07/08/2018. — Chris Wilder after the transfer window closed without any further permanent signings. 09/08/2018. — Boss Wilder after opening Championship defeat at home to Swansea City. 04/08/2018. — Tweet from former Blade Peter Ndlovu amid Zimbabwe election chaos. 02/08/2018. We’ve had bids from Brighton but he is not for sale. — Blades boss Wilder after rejecting two bids for defender Jack O'Connell. 02/08/2018. — Chris Wilder on his continuing hopes in the summer transfer market. 27/07/2018. — Goalkeper Simon Moore after ending speculation and signing new three-year contract. 26/07/2018. — Wilder reflects on signing triallist striker David McGoldrick. 25/07/2018. — Internazionale boss Luciano Spalletti following 1-1 draw in friendly watched by almost 19,000 at Bramall Lane. 24/07/2018. — Chris Wilder after goalless workout at Mansfield. 21/07/2018. — United boss Wilder after signing defenderJohn Egan for a club record £4million-plus from Brentford. 19.07.2018. — Chris Wilder on the striker Evans' expected loan to Fleetwood Town. 17.07.2018. — Bournemouth boss Eddie Howe after signing David Brooks. 03.07.2018. — AFC Wimbledons boss Neal Ardley after signing United's transfer-listed striker James Hanson. 26.06.2018. — Chris Wilder talking about his summer transfer targets. 12/06/2018. — Chris Wilder confirms he is staying at Bramall Lane after receiving assurances and a new contract from his bosses. 22/05/2018. — Loanee goalkeper Jamal Blackman's message on Instagram to United fans after returning to Chelsea. 06/05/2018. — Chris Wilder's message to the club's owners after Sheffield United's final home match of the season when he revealed he is considering his future. 28/04/2018. — Chris Wilder reveals his thoughts as he was about to meet the media after surrender at Birmingham. 21/04/2018. — Millwall boss Neil Harris after his side drew 1-1 at Bramall Lane. — Midfield man John Lundstrum on the eve of 2-1 win over Middlesbrough at Bramall Lane. 09/04/2018. — Sheffield United boss makes reference to co-owner Prince Abdullah's battle with Kevin McCabe for overall control at Bramall Lane. 09/04/2018. — Chris Wilder after defeat at struggling Barnsley. 07/04/2018. — Chris Wilder reflecting after having seen victory snatched from his grasp by Neil Warnock's viisiting Cardiff City. 04/04/2018. — Chris Wilder after surrendering lead in 1-1 draw at Brentford. 30/03.2018. — Blades boss Wilder. 27/03/2018. — Chris Wilder after dropping two points in goalless draw with Nottingham Forest at the Lane. 17/03/2018. — Blades Boss Wilder after watching 2-0 victory against Nigel Clough's Burton Albion which was far from easy. 13/03/2018. — Blades boss Chris Wilder looking ahead to home dates against Burton Albion and Nottingham Forest. 12/03/2018. — Chris Wilder after defeat at Fulham. 06/03/2018. — Blades assistant manager Alan Knill after 3-1 win at Reading. 27/02/2018. — Reading's under-fire boss Jaap Stam whose team remain without a home league win in since November 28. 27/02/2018. — United boss Wilder 72 hours after lambasting his players for poor performance at Hull. 26/02/2018. — Chris Wilder after 1-0 defeat at Hull City. 23/02/2018. — Billy Sharp after scoring both goals in the 2-1 home win over Leeds in what was the Blades skipper's first Championship start of the new year. 10/02/2018. — Chris Wilder after United's victory over Leeds at Bramall Lane. 10/02/2018. — Billy Sharp after scoring from the spot to sink Preston in the FA Cup fourth round. Words you would never have expected the Blades skipper to say a couple of months ago. 27.01.2018. — Former Blades and Preston North End goalkeeper Alan Kelly. 26.01.2018. — Mark Duffy after signing an extended contract which secures the midfield player's future until 2020. 26.01.2018. — Loanee from Manchester United James Wilson after scoring opener on his Blades debut in 2-1 win at Norwich. 20.01.2018. — Blades boss Chris Wilder on eve of Steel City derby at Bramall Lane. 11/01/2018. — Derby boss Gary Rowett after Blades 1-1 draw at Pride Park. 01/01/2018. — Wilder after shocking home defeat to Bolton. 30/12/2017. — Jubilant Wilder following 3-0 Boxing Day win over Sunderland at the Lane. 26/12./2018. — Wilder after United recovered from 2-0 down at Aston Villa to claim a point. 23/12/2017. — Chris Wilder after defeat at Preston. 16/12/2017. — Furious boss Wilder after losing 3-1 at Millwall. 02.12.2017. — Billy Sharp on fellow striker Leon Clarke. 24.11.2017. — Wilder further reacts to the loss of Paul Coutts who fractured a tibia at Burton. 24/11.2017. — Chris Wilder relecting on the injury to midfielder Paul Coutts which has ended his season. 22.11.2017. — Wilder on ex-Blades boss Nigel Clough ahead of United's trip to Burton Albion. 17.11.2017. — Leon Clarke after scoring four goals for United against Hull City at Bramall Lane. 04.11.2017. — Chris Wilder after 4-1 home win against Hull City. 04.11.2017. — An uncompromising Chris Wilder following win at Leeds which lifted the Blades to top of the Championship. 27.10.2017. — Chris Wilder on eve of trip to Leeds. 26.10.2017. — Wilder on striker Ched Evans who is due to have ankle surgery. 12.10.2017. — Chris Wilder as United moved up to second with 2-0 win at home to Wolves. 27.09.2017. — Boss Chris Wilder after the Blades stunning 4-2 victory at Sheffield Wednesday. 24.09.2017. — Chris Wilder after 1-0 win at Bolton. 12.09.2017. — Striker Clayton Donaldson after scoring both goals on his debut in United's 2-1 win at Sunderland. 09.08.2017. — Chris Wilder on transfer windows. 30.08.2017. — Blades midfield man Paul Coutts. 26.08.2017. — Boss Wilder after 3-1 home win against Derby County. 26.08.2017. — United boss Wilder's verdict on 1-0 home victory against Barnsley. 19.08.2017. — Blades boss Chris Wilder talking about having to file reports on referees' performances. 16.08.2017. — Boss Chris Wilder after United's 3-2 Carabao Cup win at home to Walsall. 09.08.2017. — Manager Chris Wilder 31.07.2017. — United No2 Alan Knill 25.07.17. — Blades boss Chris Wilder looking ahead to recruiting for the Championship challenge ahead. 25.04.17. — Striker and captain Billy Sharp after United clinched League One title. 15.04.17. — Chris Wilder prior to Millwall's midweek visit to the Lane. 27.03.17. — United boss Wilder after 1-1 draw at Oldham played on a pitch resembling a ploughed field. 25.03.17. Football’s a game of two halves and you’re playing against two teams. Anything can happen in football. — Chris Wilder after late slip-up at Charlton. 26/11/16. — Dominic Calvert-Lewin on his summer deadline £1.5million transfer to Everton. Former Sheffield United striker and radio pundit Keith Edwards voicing the frustration of United fans. The warning came in November 2015. Click image for post. In view of how it all ended it makes interesting reading. IT hasn't taken long for Chris Morgan to exert his influence since leaving a coaching role at Bramall Lane to be manager Danny Wilson's No2 at Chesterfield. They will be playing in red and white stripes next! — Leon Wobschall of the Yorkshire Post on Nigel Clough's triumphant return to Bramall Lane with Burton Albion. — Jose Baxter after 1-0 defeat at Bury only to be suspended again by United three days later. The Liverpudlian failed a drugs test for the second time within a year. UNITED striker Marc McNulty took to twitter only 18 minutes after new manager Nigel Adkins was unveiled. McNulty was just one of many players who had a strained relationship with former boss Nigel Clough. 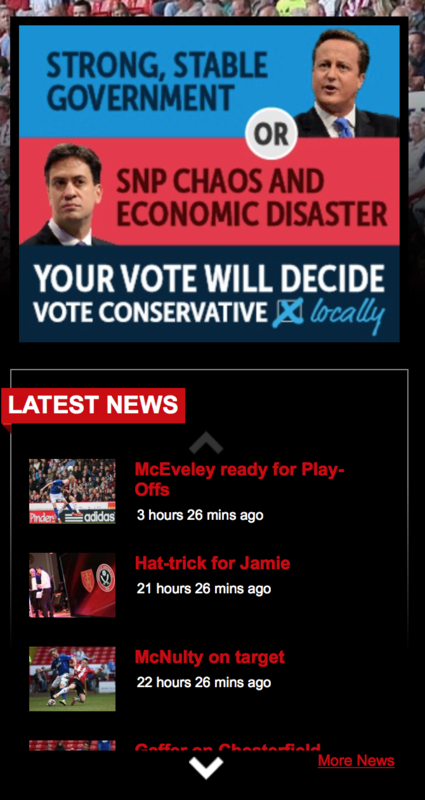 UNITED'S WEBSITE IS SINGING THE BLUES: Not what you would expect to find on Sheffield United's official website. An advert urging visitors to vote Conservative in the General Election! Proof that democracy, however misguided, and freedom of speech is alive, well and living in the socialist republic of South Yorkshire. — 03/05/15 Nigel Clough looking ahead to play-off semi-final first leg at home to Swindon. 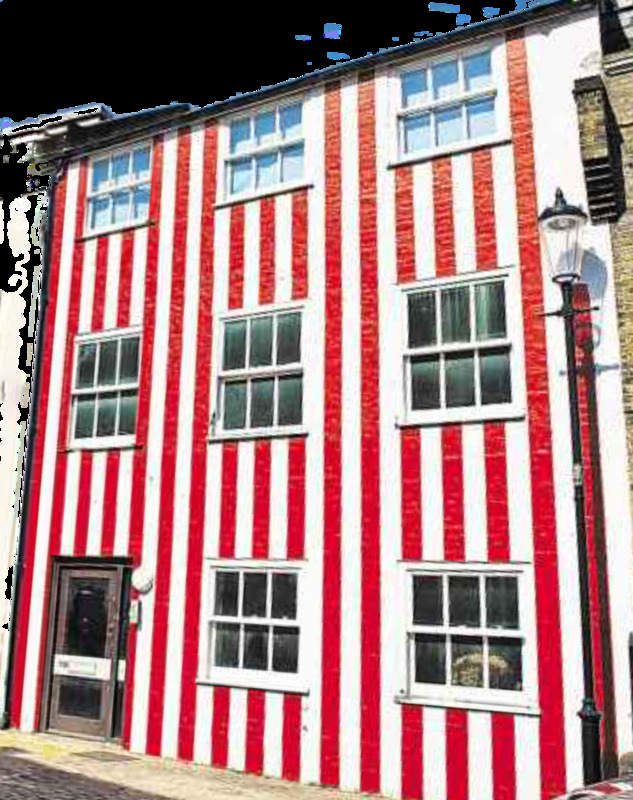 STYLISH PAINT JOB: Stuck for tasteful decor ideas to spruce up your house? Well here is the perfect remedy. It will add value too, unless you live in S6. STRAIGHT FROM THE TOP: Jim Phipps, United's co-chairman, echoes the sentiment of all those fans who witnessed a shocking 1-0 defeat at relegated Yeovil. — 28/03/15 Clough looking ahead to pivotal derbies at Barnsley and at home to Doncaster. — 27/03/15 An ebullient Clough prior to home defeat by lowly Crewe. IS NIGEL IN THE KNOW? Does birthday boy Nigel Clough know something we don’t? 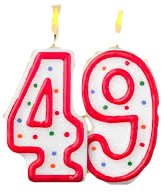 In an interview with Radio Sheffield prior to United’s 1-0 home win against Port Vale, his 49th birthday on March 19 was mentioned. Thank you for subscribing to ViewFromTheJohn Street.com. Latest posts will now be delivered to your inbox.